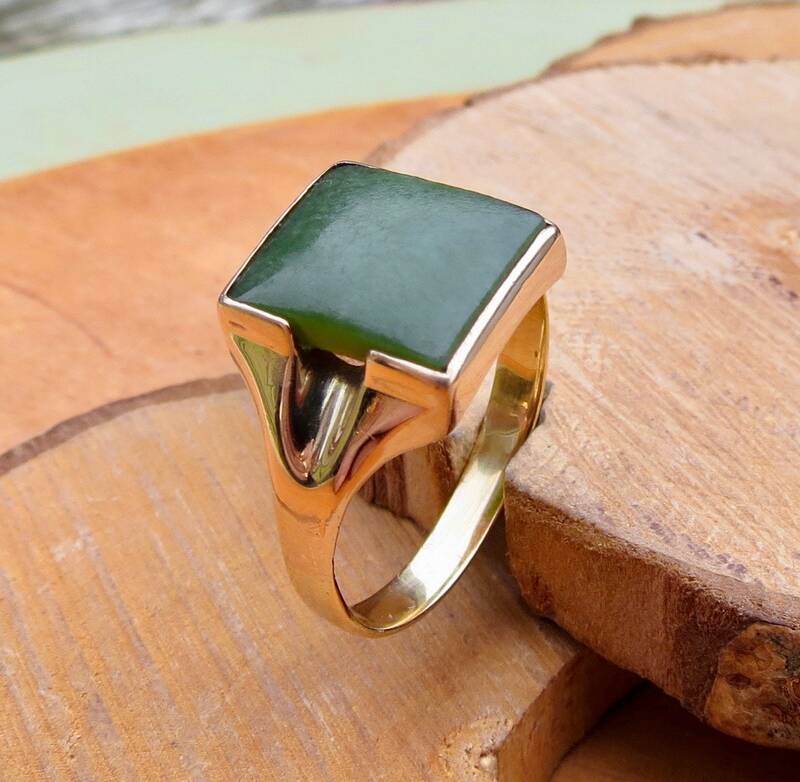 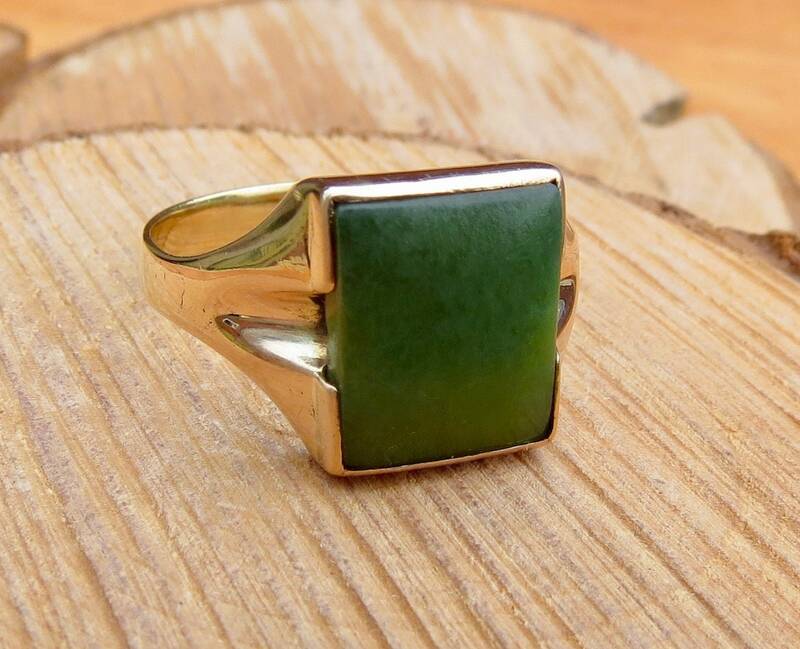 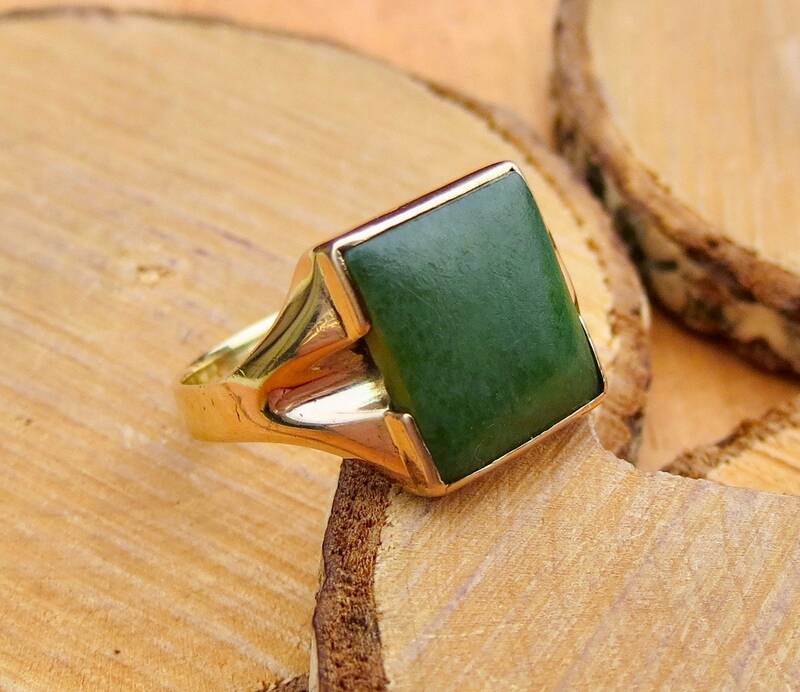 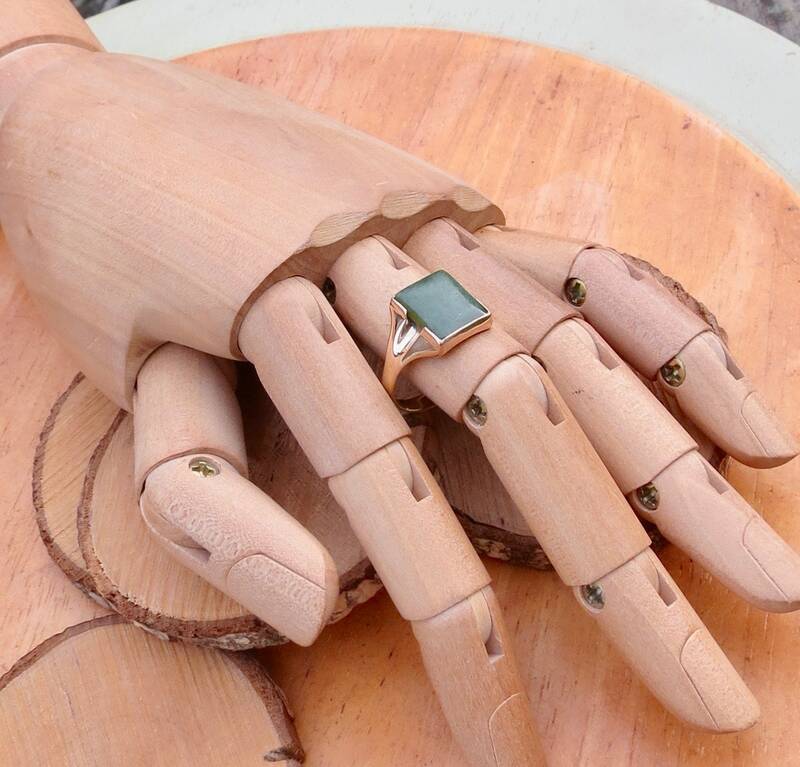 This vintage 9K yellow gold signet ring has a square nephrite jade stone, in a rub over setting. 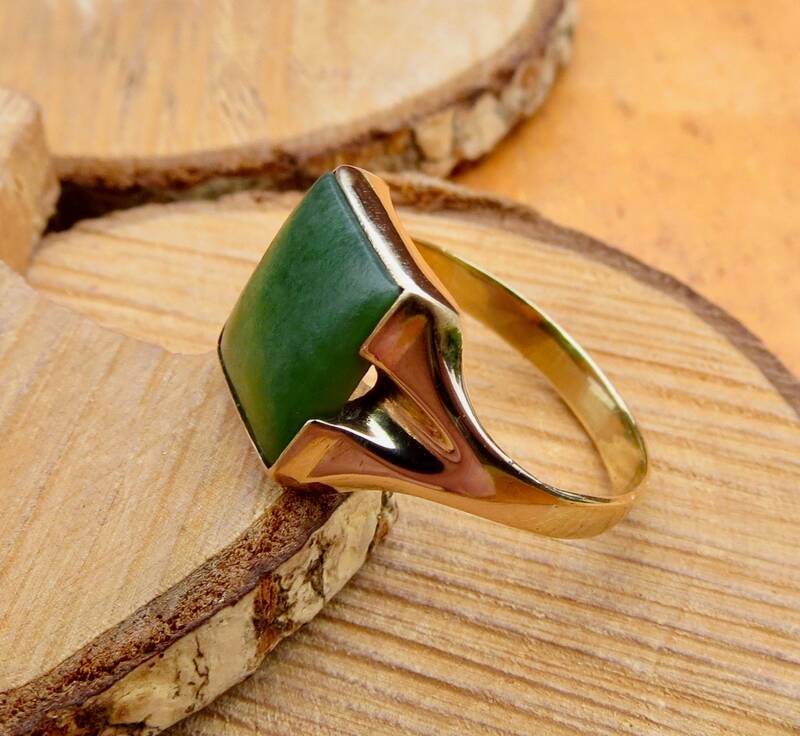 Twin shoulders lead to a plain band. 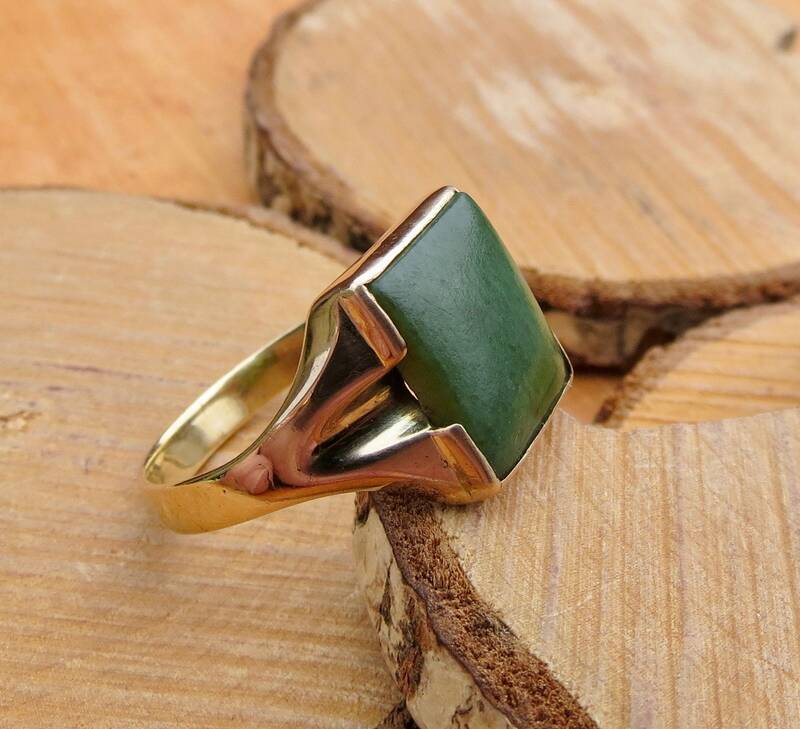 Nephrite is a type of jade known for its tough structure and slight orange peel finish. 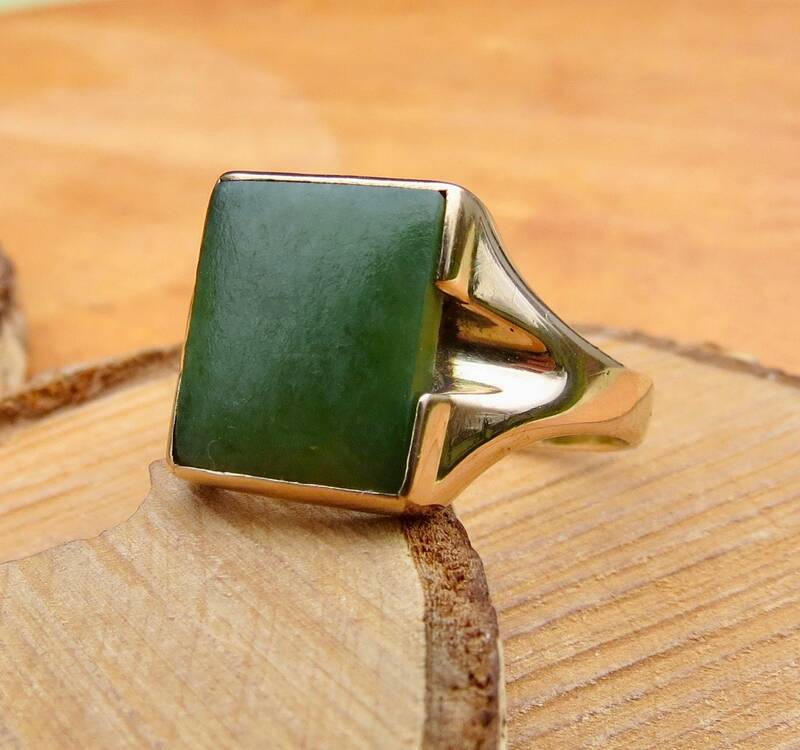 A little translucent this green stone can vary in colour depending on light conditions. 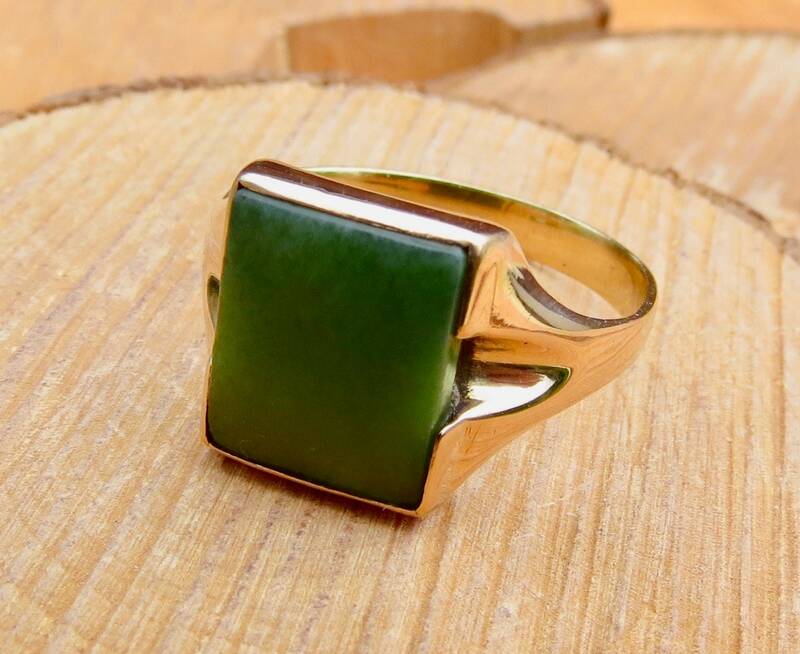 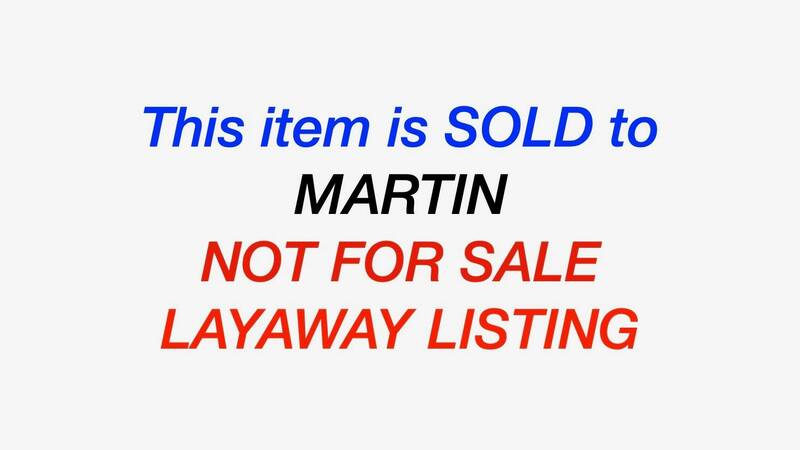 Maker stamp, but hallmarks, gold tests to 9K.